I’m speaking at BlogHer for my third time 🙂 Now the world’s largest conference celebrating women in tech, blogging and social media! 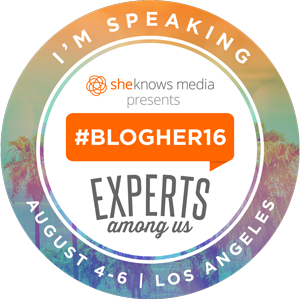 BlogHer16 is in Los Angeles, on August 4-6. Save 30% on a full conference pass with code SPEAKERFF30 – register today! Hope to see you there!